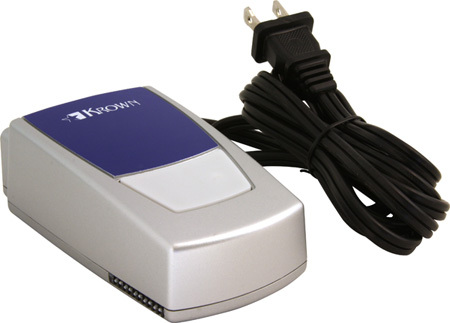 Baby Cry Monitor KA1000N Transmitter - Krown Manufacturing, Inc. 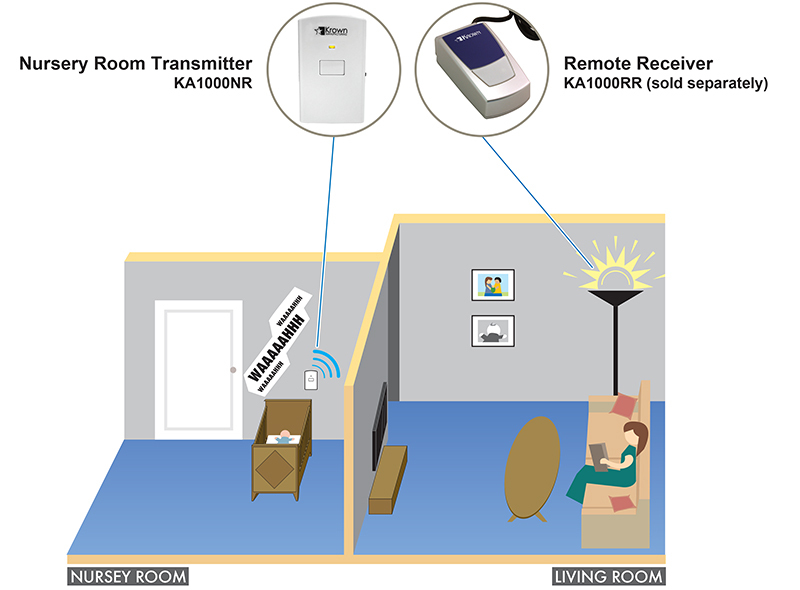 The Nursery Room Transmitter can be added to the Krown KA300 Emergency Notification System and the Krown KA1000 All-in-One Notification system. 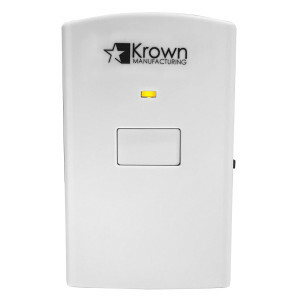 The Krown Nursery Room Transmitter requires a Krown receiver to provide notification. 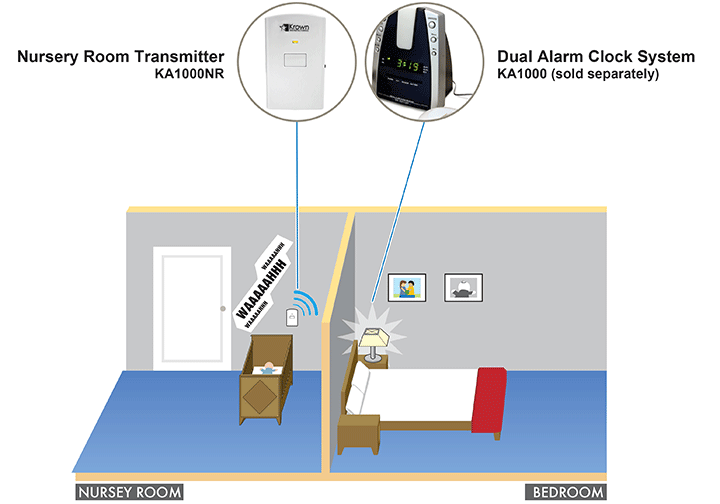 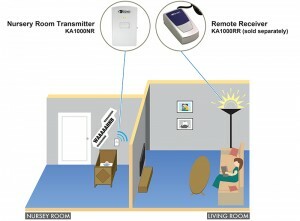 The Krown Nursery Room Transmitter sends a wireless signal to your Krown receiver alerting the user when a baby is crying. 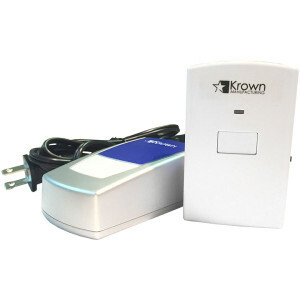 The Krown Nursery Room Transmitter requires a Krown receiver to provide notification. 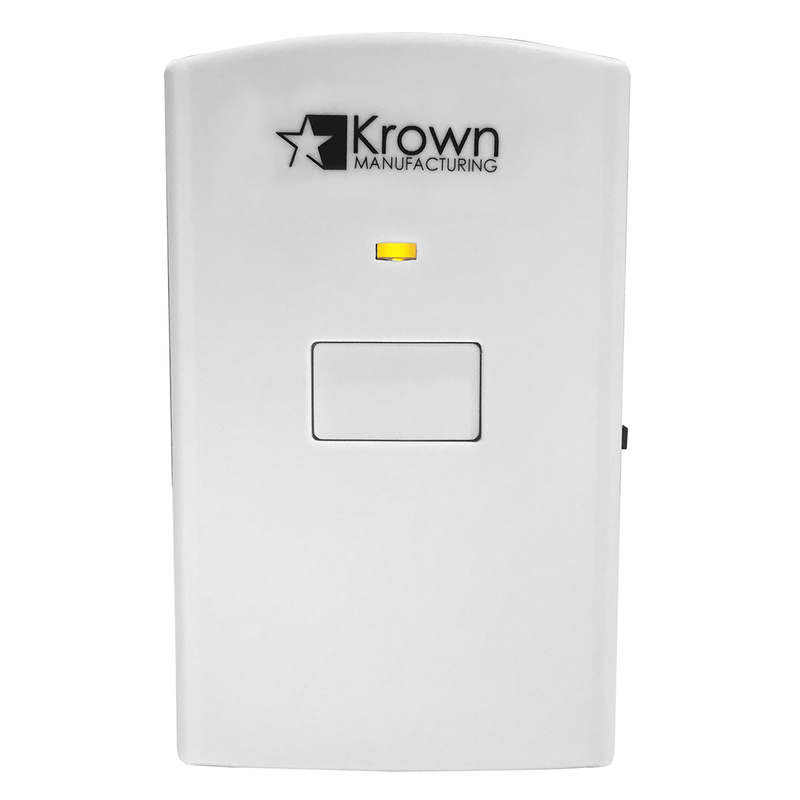 Add the Nursery Room Transmitter to the Krown KA300 Emergency Notification System or Krown KA1000 All-in-One Notification System Receivers.